Today Bob Katter Jnr is one of the country's best known federal politicians. He's forthright, outspoken and has achieved extraordinary notoriety as a politician of real conviction across an astonishing breadth of issues that defy all attempts at easy categorisation. 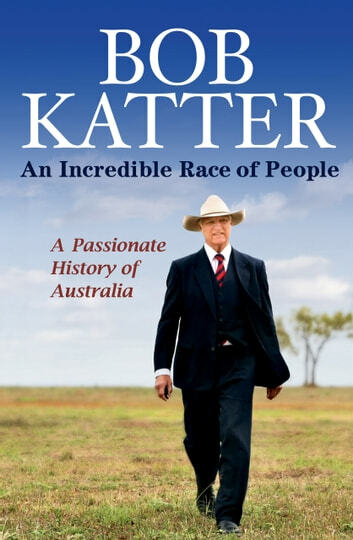 Bob Katter is a complex man, and he's passionate about what made this country great, and what is needed to ensure that it remains so as we negotiate our way further into the twenty-first century. An Incredible Race of People is a highly personal and at times challenging investigation of our politics and industry over many decades: heroes are applauded and pretenders dismissed, urgent issues are identified and solutions tabled. In the tradition of the greatest statesmen, Bob Katter Jnr urges us to consider, discuss, and act to ensure Australia's future remains bright.